It is a great pleasure to welcome Tierklinik Haar to AniCura. Their highly skilled team will play an important role in realising our vision of shaping the future of veterinary care, together. This is a unique opportunity for veterinarians outside the universities to conduct research. We are very pleased to have become part of AniCura as the next step in our development. Over the next few years, we are planning to grow Fana Dyreklinikk to satisfy the ever greater demands of our customers. AniCura's experience and stable network will be crucial for these efforts and our investments in further training. Fana Dyreklinikk is an excellent complement to our Norwegian and European organization of animal hospitals and clinics. The team at Fana Dyreklinikk is committed to continuous learning and high-quality care. This means they fit in well with the rest of our practices, and we extend them a warm welcome. We've enjoyed fantastic growth and a great influx of patients over the past decades. Pet owners often tell us they enjoy visiting us and trust our ability to take care of their pets. This is important for us. To keep on developing our skills and competencies for the future, we've held discussions with several different potential partners, but we immediately felt that AniCura’s values reflected our own. What's more, AniCura has a long-term view on things. This gives us new opportunities for developing staff skills as we've come as far as we can by our own efforts in our current structure. We are very pleased to welcome another busy, well-liked clinic to the AniCura family. Along with other AniCura animal hospitals and clinics in the region, Heimdal Dyreklinikk will now be able to offer pet owners in the Trondheim area even broader expertise and a more profound presence. We look forward to becoming part of AniCura and participate in AniCura’s professional collaboration in Sørlandet. This will put us in touch with an even greater number of highly capable colleagues who share our vision, and it will allow us to offer our customers and patients even better service and broader veterinary expertise. We bid a warm welcome to Mandal Dyreklinikk. Their expertise and high ambitions will make a positive contribution to the AniCura family and above all to our customers and patients in Sørlandet and Norway as a whole, says Øyvind Johnsen Brøgger. It has been a tremendously stimulating year to work with QualiCura. Many of our hospitals and clinics want to safeguard antibiotics and have increased their preventive work against antimicrobial resistance. More hand sanitizers have been installed and several many of AniCura’s veterinarians have limited their prescription of antibiotics for certain conditions with good medical outcomes. It is encouraging that also this year’s survey shows that we use a very small amount of antibiotics classified as critically important (CIA) by WHO, despite the fact that more countries participated in the survey this year. AniCura focuses on creating and developing the quality of veterinary medicine throughout Europe, and as a partner we now enjoy the very best options for treating our customers' pets according to the very latest and best methods. Every day we fulfill our customers' wishes by ensuring their pets are diagnosed and treated to the very highest standards. Consequently, we must prioritize training and advanced technical equipment and our collaboration with AniCura now provides us with even greater opportunities. AniCura extends the warmest of welcomes to Vangede Dyreklinik in our family of European animal hospitals and clinics. We will continue to offer Danish pet owners increased access to quality pet care and treatment. We’re right in the middle of an intense time period with significant growth in the number of customers. It feels truly exciting to be part of AniCura in Norway and the growing collaboration between the region's AniCura clinics. We're convinced that participating in a network with so many able colleagues will raise our veterinary skills. It's a great pleasure to welcome Vågsbygd Dyreklinikk and its personnel to AniCura Norge and our wider European family of animal hospitals and clinics. We continue our quest to provide Norwegian pet owners an excellent presence and top-quality veterinary care throughout the country. We feel that in AniCura we have found a stable, long-term partner that applies strong quality management. Together with the AniCura family’s extensive network that allows for knowledge sharing, we are convinced that this will contribute to the positive development of our clinic and its employees. Furthermore, it will also help provide even better service to our customers. We are pleased to welcome Tierarztpraxis Dr. Rösch to the AniCura family. As communicated consistently since our foundation in 2011, our vision is to shape the future of veterinary care together with our family members to provide benefits for pets, pet owners and veterinary professionals alike. Thanks to this collaboration, our relatively small clinic will become part of something much greater. We're really looking forward to it. We feel AniCura's extensive skills network and high-quality will help us ensure our patients and customers enjoy even better treatment and service today and tomorrow. 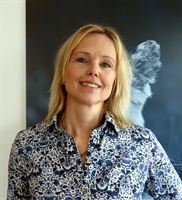 AniCura extends the warmest welcome to Vennesla Veterinary Clinic. It is a well-run clinic with great ambitions of making a positive contribution to our family of animal hospitals and clinics in Sørlandet in particular and Norway in general. Being part of a larger family of clinics helps us to secure continuity of our clinic in the future. We strongly believe in the potential of AniCura to encourage knowledge and best practice sharing within the family of clinics and expect synergies from collaborating on a larger scale; continuing education is a significant benefit to our employee development. We are pleased to welcome Tierklinik Neckarwiesen to AniCura and look forward to shaping the future of veterinary care together. Bundling resources and mutual support are important steps to more customer service and power for medical progress. AniCura and Tierklinik Bielefeld share the same values. Therefore, it was a logic step to join. We feel very comfortable with the AniCura culture and that we are amongst many wonderful and professional people. We are very pleased to welcome Tierklinik Bielefeld to our European veterinary family. Together, we will be writing a new chapter of development within the veterinary care industry, to the benefit of companion animals, pet owners as well as our highly talented staff. Partnership is a natural development to us since we are convinced that the future of veterinary medicine lies in cooperation. We look very much forward to be part of a group of professional clinics in Germany and around Europe. This doesn’t mean we will change our way of thinking or working, it means we will improve by finding synergies and borderless knowledge exchange. We are very pleased to welcome Tierärztliche Klinik Bretzenheim an der Nahe and Kleintierorthopädie Wiesbaden to the AniCura family. Their competence and friendly, collaborative approach provides a good fit with AniCura and strengthens our offer of high quality veterinary care in a central part of Germany. We want to remain at the forefront of advanced veterinary care and believe being part of AniCura will help us achieve and maintain this goal. By borderless cooperation and knowledge exchange we can find synergetic effects that will have very positive impact on our work. I am very pleased to welcome Kleintierspezialisten Augsburg to the AniCura family. The partnership will contribute to further development of specialised veterinary care to the benefit of companion animals and pet owners across Europe. We are really happy about partnering with AniCura which means gaining a strong and stable partner, allowing for continuity in our operations. AniCura stands for the principles we ourselves value, such as a strong focus on high quality, an ambitious scientific agenda and of course making sure that clients and animals are given excellent service. We are pleased to welcome the team at Tierklinik Korneuburg to our veterinary family. Together we will continue to develop high quality specialised veterinary care of the future. By joining AniCura we are able to continue our development and specialisation by cooperation and best practice sharing. Everyone stands to gain from sharing knowledge and experience with one another. AniCura enables us to develop veterinary care together and provides for continuity and stability in our operations. In June, AniCura launches a new digital imaging service for veterinary clinics across Europe. Through a web-based system, clinics have their medical images assessed by board-certified radiologists or neurologists.The new service is called AniCura Telemedicine and will be offered veterinary clinics across Europe, starting in the Nordic region in June. Several scientific studies have highlighted the importance of specialist competence in imaging to achieve accurate analyses of medical images from for example x-ray, magnetic resonance (MRI) and computed tomography (CT) examinations. Björn Meij, professor in small animal surgery at Utrecht University in the Netherlands, joins AniCura’s Scientific Council as new member. Björn Meij is a well-known researcher within orthopaedics and neurosurgery, and will make an important contribution in developing research and quality across AniCura.AniCura’s Scientific Council was established in 2013 to promote evidence-based care, research and quality across AniCura. The council also reviews applications and allocates funds from AniCura’s Research Fund. In May, Björn Meij was appointed new member of AniCura’s Scientific Council.